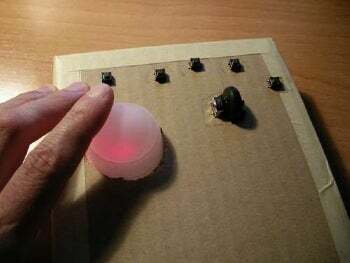 A guide from Instructables member Elgatoandaluz shows you how to create your own trackball using a cardboard case and parts from an optical mouse and a deodorant stick. First, take the top portion off of a standard optical mouse and begin salvaging the buttons and position wheel to attach to the cardboard case in whatever layout you think is best. The key idea is that the optical mouse tracking sensor gets attached to the deodorant roll-on ball and becomes the trackball. Since the trackball motions are reversed in left-right compared to the mouse movements, you'll need a mouse utility like Sakasa Mouse to correctly reverse side-to-side motions in software. And if you're interested in customizing button functionality of your new trackball, X-Mouse Button Control to remap buttons to perform macros or open applications. Intrigued? Check out the Instructables guide for full instructions. If you get inspired to create your own trackball, might we suggest using an unscented deodorant roller? (Unless you want your fingers to smell like Axe for the next week.) And let us know how it goes in the comments!